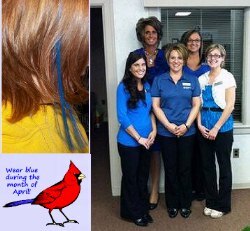 30 April, 2012, 08:54 pm in "April 2012"
I would like to extend a special thank you to those businesses that joined MyColdwater.com in supporting Autism Awareness Month in April: Allure Salon, Chemical Bank, The Daily Reporter, and Taylor's Stationers. Thank you also to Kasey Myers-Zimmerman for the Autism fundraiser. For more info, be sure to visit http://autism.mycoldwater.com/Coldwater.html.